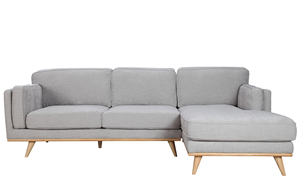 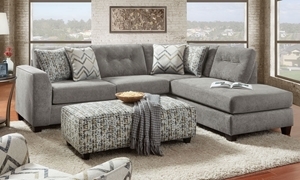 2-piece sectional handmade in America features a comfortable 86-inch chaise and tufted back cushions, all in light gray upholstery. 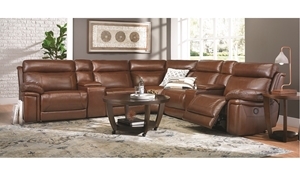 Storage sectional with seating tailored in chestnut top-grain leather features three power recliners with power headrests and USB charging. 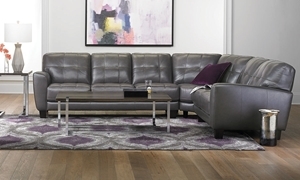 Sectional tailored in dark brown leather-look fabric features three manual reclining seats and two storage consoles with cup holders. 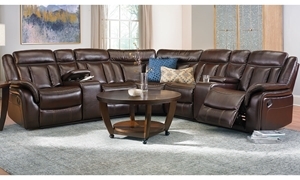 Spacious sectional tailored in luxe brown top-grain leather features a deep chaise end along with plush pillow top seating and roll arms. 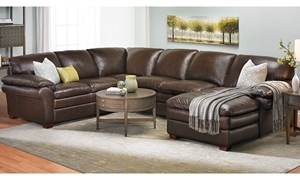 Spacious sectional features two power recliners, a queen-size memory foam sleeper and storage console with cup holders and USB ports. 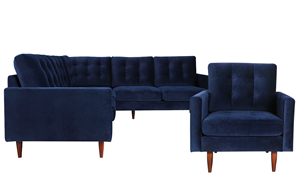 2-piece sectional handmade in America features a comfortable 86-inch chaise and tufted back cushions, all in slate blue upholstery. 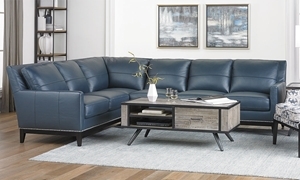 Contemporary sectional crafted with a hardwood frame flaunts flared arms and biscuit-tufted cushions tailored in pewter top-grain leather. 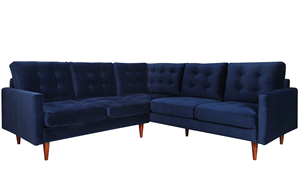 A fully padded hardwood frame offers lasting comfort for this sectional with thin track arms completely tailored in navy blue leather. 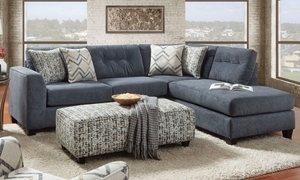 Chic sectional upholstered in soft grey velvet delivers both style and comfort with a tufted back, shelter arms and 70-inch chaise.